The unparalleled master-showman Jean Michel Jarre continues his 2010 world tour in Europe. See the full tour dates and venues. Tangerine Dream, one of the original bands of the Berlin School, have released a new DVD of their Japan 2009 tour "IZU - Tangerine Dream Live in Japan 2009". Also released is a double-CD of the same tour and, as though that wasn't enough, there's also a new Dream Mixes album "Dream Mixes V". If you're fond of hanging out on eBay, you might have already noticed something of a rarity is up for auction: an original Moog 55 Modular Synthesizer in excellent condition. They're a rare breed and, to many, are THE ultimate synth of the 60s and 70s. Now all you have to do is find the $35,000 to own one! For those eagerly awaiting the next release in the La Vie Electronic series, the good news is volumes 5 + 6 will be released shortly. Electronic music supremo Klaus Schulze will perform live in Tokyo on March 20+21, 2010. The venue is the Tokyo International Forum. Klaus has announced this will be the only live performance in 2010. Johannes Schmoelling, who was a member of Tangerine Dream between 1980 - 1985, has released his latest album "A Thousand Times". Comprising eleven tracks, it totals over 60 minutes of new, previously unreleased material. Nashville-based Harrison is well known for its large-format, professional audio mixing consoles which are used widely for film and television post-production, broadcasting, sound reinforcement and music recording (including hits by the likes of Michael Jackson and ABBA among others). With Mixbus, they're unleashing their magic for Mac OS X. They've combined their proprietary DSP algorithms with the open-source Ardour DAW to bring the sound of their legendary large- scale 32- and MR-series mixing desks to the world of Mac OS X. The Master Perfection Suite of audio-processing plug-ins available from Bias are now available separately allowing you to pick and mix according to your requirements. The assortment of audio-processing plug-ins offer pitch-correction, metering, dynamics-processing, equalisation, and spectral matching. Dream Theatre keyboard player Jordan Rudess has teamed up with Amidio to develop a new musical instrument app for Apple's iPhone. JR Hexatone Pro is described as a six-directional drum machine and rhythm sequencer. It can churn out beats and loops (great for exploring new ideas) and can also be used in performance too. Ada Lovelace once predicted computers would one day be used to create music as well as scientific calculation. Not bad considering she made this prediction in the early 1800s before the computer even existed. Inspired by this, Matthew Applegate (aka Pixelh8) set about creating a concept piece using some of the earliest and rarest computers in existence including the Colossus Mark II at Bletchley. If you're more comfortable with a bass guitar than a keyboard or if you're a bassist looking to add more depth to your sound, check out the Midi Bass guitar from Industrial Radio. Based in Australia, it's the latest brain-child of Steve Chick, the man behind a number of MIDI bass guitars since the late 1980s including the Peavy Cyberbass. Building on all that experience, Steve has come up with an innovative combination of pickups with sensors running the length of the neck in addition to tension-sensing saddles and the usual piezo pickups beneath the bridge. Performing live with a guitar is one thing, but performing electronic music live is an altogether different matter. Especially today, when the core of any setup is a humble laptop, its mouse user-interface presents something of a hurdle to artistic improvisation. Tools like Ableton Live help, but something more is needed. 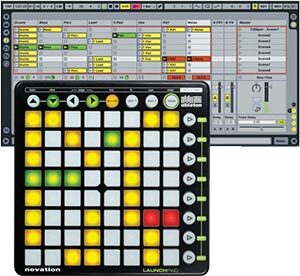 That's why Novation has teamed up with Ableton to create a controller that finally frees us of the limitations of the traditional laptop interface. If you use Garritan's Personal Orchestra, you'll be pleased to hear version four has been announced. 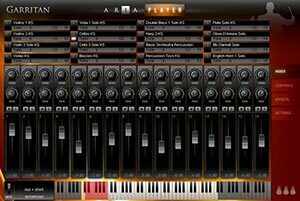 Boasting a new core engine called Aria which models real orchestral instruments while putting less load on the CPU than previous versions. Sample load times have also been reduced for a snappier feel. Even better, there are new effects for adding reverb or mucking about with the stereo image. So now you have no excuse: you can have a full orchestra at your fingertips. Crysonic, an Australian plug-in developer, have updated their Spectralive plug-in to version 3 and released it for Mac OS X for the first time. They've apparently completely rewritten the core engine to work with 64-bit internal precision for an even clearer sound. Unlike most frequency enhancing plug-ins, Spectralive claims not to introduce additional harmonics. Instead it subtly adjusts existing harmonics using a process they call 'spectral vitality' which, it's assumed, subtly adjusts timing and phase relationships.